Every Friday, an author, an illustrator, or an educator drops by to finish my sentences. Today's special guest is one of my favorite authors, Elise Broach. We discussed her new series, Kelly Murphy's amazing illustrations, Caldecott Medalist David Small, picture books, and reading. I wrote the words in red, and she wrote the words in black. Many thanks, Elise! The Miniature World of Marvin and James is the first book in a series for younger readers called The Masterpiece Adventures, based on the characters from my middle-grade novel, Masterpiece. The reading level is good for children from the ages of about six to nine, in that transitional stage between early readers and longer chapter books. It’s so fun for me to be back in the world of Marvin and James! My hope is that the miniature, dollhouse details of the beetles’ lives – the tiny scale of their world – will have a special appeal to children of this age. In the first book of the series, James goes away on vacation, and a lonely Marvin joins his cousin Elaine on a hair-raising adventure (or that’s what it would be, if beetles had hair!). Kelly Murphy’s illustrations are purely AMAZING! She captures so much about my characters in the simplest of lines. Look at Marvin and Elaine’s faces when they find themselves trapped inside an electric pencil sharpener – each gradation of surprise, worry, panic, and terror is perfectly conveyed. To manage all that when the characters are beetles, whose faces consist only of eyes and a mouth, is truly astonishing. I’ve heard Kelly called “an illustrator’s illustrator” for her wonderful sense of line and composition; these gifts are on full display in The Miniature World of Marvin and James, and I think her two-color art gives the book both a stylish sophistication and an old-fashioned, classic feel. Hero and Danny Cordova are the two main characters in my first novel, Shakespeare’s Secret, and even though they’re a girl and a boy, in 6th grade and 8th grade, they become close friends. I had a number of good friends who were boys when I was growing up, and I wanted to write a story that involved that particular kind of friendship, with its adventures and banter and little spark of difference— but without either antagonism or romance. Hero is reserved and methodical, while Danny is out-going and relaxed, but they support each other. They draw each other out of their respective comfort zones in ways that change them for good. 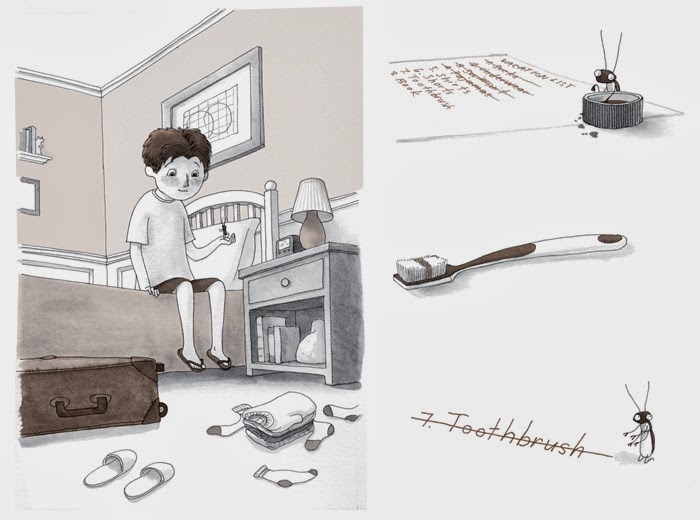 Caldecott Medalist David Small illustrated my picture book When Dinosaurs Came with Everything. It was so thrilling and fitting to have him as the illustrator for this book because I used to read his lovely picture book Imogene’s Antlers to my children. When Dinosaurs Came with Everything is also about one extraordinary day in the life of a child—a boy discovers that instead of the usual balloons or pencils or stickers, storekeepers are giving kids a bunch of real, live dinosaurs. On a school visit once, a student asked me, “Which of your books would you most like to spend a day inside of?” The answer was easy! This one. Picture books are a unique and wonderful art form. They combine two things I love: words and art. 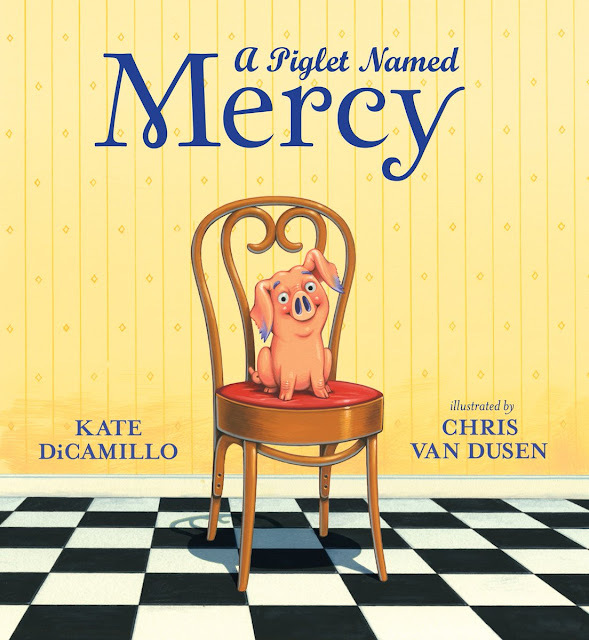 There are so many ways in which picture books are utterly distinct from novels, poetry, short stories, and the visual arts. They’re meant to be looked at AND read. Their impact depends as much on the story as the pictures. They’re meant to be read aloud; the sound of the words matters. Perhaps most importantly, they’re meant to be shared. The ideal place for a picture book is between two people—one reading, one listening—sitting side by side, preferably with the book open across their laps. Reading is one of life’s greatest pleasures. It’s fun. It’s cheap. It expands your mind. You can do it anywhere, and it whisks you away to different places, circumstances, mindsets, or times. Reading can be as exciting as a roller coaster ride or as soothing as a cup of tea on a chilly day. A good book feeds you the way a good meal does; it engages all your senses, fills up your imagination, sustains you, and leaves you sated. Mr. Schu, you should have asked me what’s next? The third book in my Superstition Mountain trilogy, Revenge of Superstition Mountain, will come out in August. The series is set in Arizona, at the real mountain that has been the site of mysterious deaths and disappearances for more than a hundred years. In this final book, the three Barker boys and their friend Delilah make another trek to the ghost town, unearth (literally!) 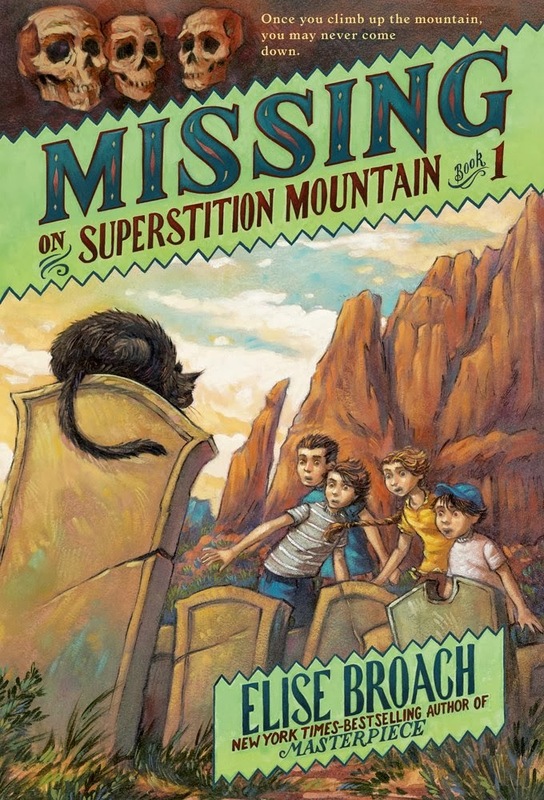 a new mystery at the cemetery, return to the Lost Dutchman’s Gold Mine, and explore Superstition Mountain one last time, as they try to figure out its haunting secrets once and for all. I am giving away one copy of Marvin and James. 1. It will run from 3/7 to 11:59 p.m. on 3/9. These books all sound fabulous! Shakespeare's Secret and the Superstition Alley books sound right up my alley, and my daughter loves anything with dinosaurs (or dragons), so we'll definitely check out your PB When Dinosaurs Came with Everything. As for The Miniature World of Marvin & James, it looks so wonderful. 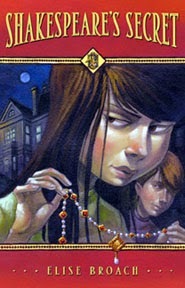 And Kelly Murphy's work has been a favorite of mine ever since I read the Nathaniel Fludd books that she illustrated!